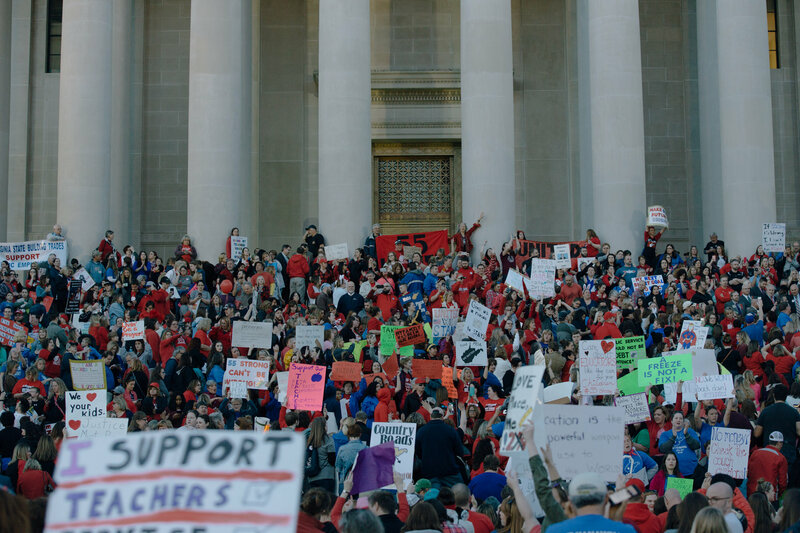 CHARLESTON, W.Va. — A statewide teacher strike in West Virginia entered its seventh day on Friday, with teachers defying efforts by the state’s governor and union leaders to end the walkout with a deal to raise pay. Earlier this week, James C. Justice, the governor, announced a plan to raise teachers’ salaries by 5 percent, and state union leaders said teachers would return to work on Thursday. But teachers across the state have refused, saying they will not return until the State Legislature completes the deal, and counties across the state have kept schools closed. The walkout began last Thursday after months of simmering tension over myriad issues, including proposed changes to teachers’ health insurance plans that would have raised monthly premiums for many. Earlier this week, the Republican-controlled House overwhelmingly passed a plan to raise teachers’ pay. But the Senate President, Mitch Carmichael, has expressed deep skepticism about the plan, which was not on the agenda for consideration by the Senate Finance Committee as of Friday morning. Mr. Carmichael has suggested that any extra revenue should go toward shoring up the state’s health insurance program, rather than toward raises for teachers. Mr. Carmichael has become the target of many teachers’ ire. Some have carried signs likening him to the Grinch. “It’s a tough day,” Mr. Carmichael said, when reached by phone briefly before a meeting in his office. Mr. Carmichael was also planning to meet on Friday with school superintendents, some of whom have expressed support for their striking teachers. The strike has left more than 250,000 children out of school in the state’s 55 counties. Some students plan to show support for the teachers with a student-led protest in Charleston on Friday afternoon. Posted in Advocacy, Education Budget, Educators Protest, Funding For Education, Pension & Salary and tagged "Standing Strong for Public Education", #iBelieve, Accountability, Advocacy, Diversity, Education, Equity, Failing Schools, Public Education, School Choice. Bookmark the permalink.